Some people may call this a milkshake, and others consider it a spin on hot chocolate. Whatever title you choose, this recipe is sure to be a hit with friends and family. Serve with whipped topping - you can make it even more festive and fab with crushed candy canes as a glass rim, colored sugar, candy cane sprinkles on top, chocolate drizzle, etc. The sky's the limit! In the blogging world, we're celebrating with many holiday themes, book tours, the sharing of recipes, or discussing our plans. It's fun to read and write about and we love it. Sadly, those who are homeless or in frightening domestic violence situations are struggling and afraid. Many wonder where the next meal will come from, or what violent act they'll be forced to endure. If you can, please donate to a homeless/domestic violence shelter, or your local church to help someone in need. Also a hug of encouragement may be what someone needs to get through the day. Yummy Ro. I saved this page for reference. I will take a double please! 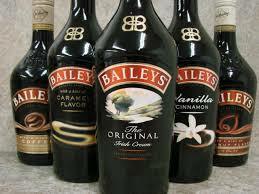 This sounds amazing and I'm always a fan of anything with Baileys. And thanks for the reminder about those in need. This time of year it's so easy to get all caught up with what I have to do and forget those who are struggling. I was just reading about a woman who was killed by her abusive ex in front of her children and it made me extremely sad. I wanted to do something to help. Great advice! Seeing and hearing things like this is crazy! Thanks for the kudos! It's that time of the year. Sadly, with everything that's going on in my life, I've been so self-absorbed lately. I'll make it a point to donate for sure. You always post the best recipes, RO. Thanks. Thank you so much for sharing this delicious looking recipe! :) I agree with you on trying to donate wherever we can. Another form of donating is to shop at charity shops and perhaps just go and purchase a coffee, tea, hot chocolate or a meal for a homeless person. Thank you Linda for the kudos and what great ideas to offer help to others in need. Hope you stop by again to say hello! Your blog is amazing! Timely reminder about the shelters, Ro. Thank you. And yes!!! Bring on the chocolate. I'll have to skip this one as I don't like coffee or Kahlua, but I'm all for new ways to enjoy chocolate. Yes, yes to chocolate! Hope all is well and sending hugs your way! Yes to whipped cream and appreciate the visit! Oh how yummy, Ro! And a very good reminder. Yes to yumminess! Hope to make my drop off one day next week! sounds great even though i don't do the coffee thing. I like my frappachino mixed with yummy chocolate! Thanks so much for stopping by to say hello! I WAS ALMOST SCAMMED ON CRAIGSLIST! CHOCOLATE PEANUT TREATS & KUDOS!